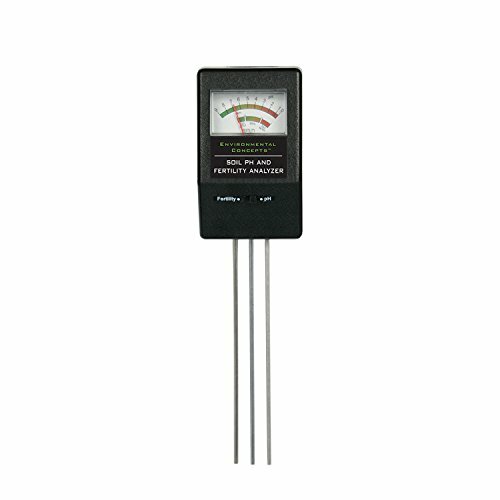 The soil pH and Fertility Analyzer meter uses an exclusive tri-probe measuring system, which allows probes to be inserted to the same depth in the soil and the metals to be exposed to the same amount of soil. This system provides the most effective way too consistently and properly measure soil pH and fertility. Full instructions for use, adjusting soil pH after readings and fertilizer recommendations are included. If you have any questions about this product by Environmental Concepts, contact us by completing and submitting the form below. If you are looking for a specif part number, please include it with your message.